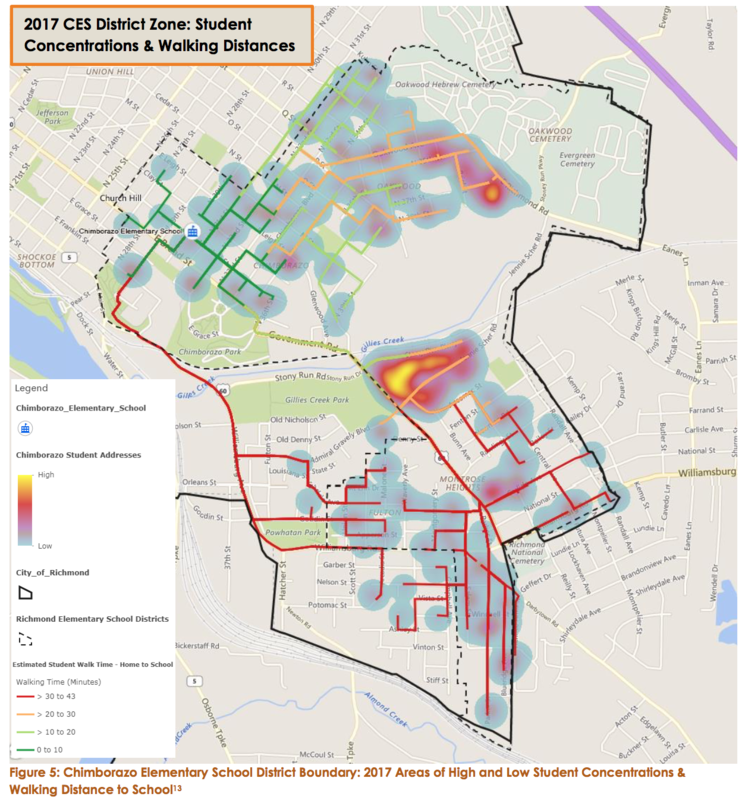 I’m pleased to share with you the finalized report of the Chimborazo Safe Routes to School Walkabout Study (PDF)! 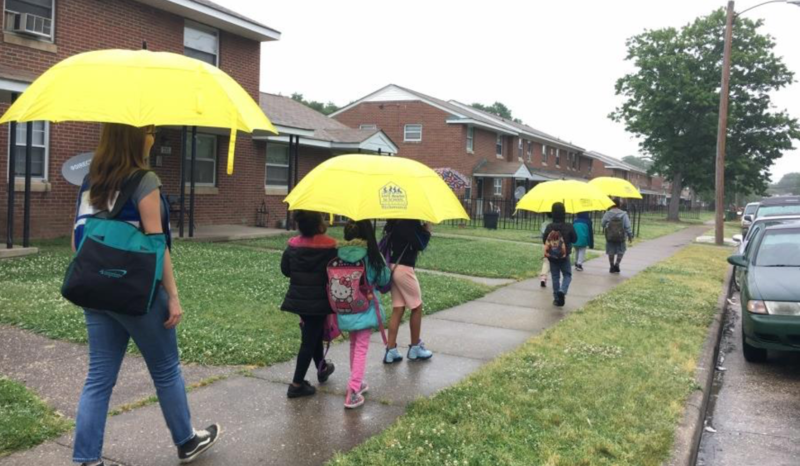 The walkabout group convened to examine infrastructure, safety and behavioral barriers to students walking and biking to school in early May. 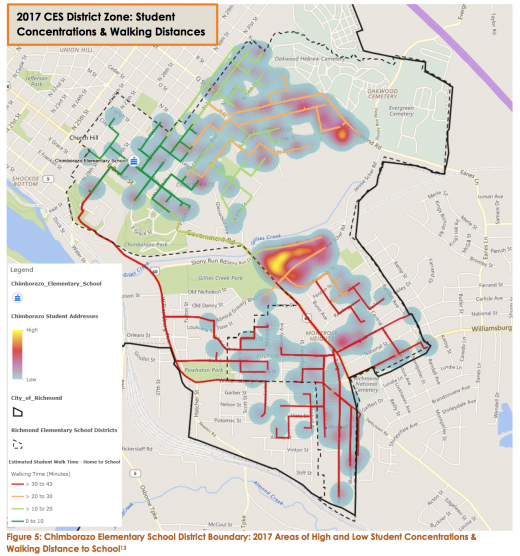 Research and analysis on the existing biking and walking infrastructure, health and safety conditions complements and enhances the walkabout findings. Primary recommendations address efforts to be made at the school and city-wide levels, including infrastructure improvements to improve safety and driver behaviors, enforcement and encouragement activities, better data tracking and crossing guard program changes. Next steps are to develop an action plan for the various agencies and actors involved to take the recommendations forward. I would love to see them put a crossing guard on Marshall and also put an end to people stopping their cars in the middle of the street. Is there any reason why you can’t pull over at the curb? I complained to the police a while back about people stopping their cars in the middle of the street to let out their elementary age children. It’s so dangerous. I’m stunned that the folks in charge at Chimborazo elementary continue to let that happen.